This post is inspired from a question I answered over at the Microsoft Online Services Forum at TechNet. The case was something like this. I have an organization that was recently setup in Exchange Online and they have unique circumstances in that every user in the organization needs “reviewer” access to every other users calendars. I cannot change the default permission since new users added after this should not be able to see these calendars details. Lets use PowerShell and prepare for such a deployment. First I create two security groups. One containing the users that will have their mailboxes shared, and on that has access to these mailboxes. The names I have used there is complete conceptual, so in your production environment you probably your name them a bit more specific. New-DistributionGroup -Type Security -Name "SG Users With Shared Calendar" -Alias "SG-Users-With-Shared-Calendar"
New-DistributionGroup -Type Security -Name "SG Users With Access To Shared Calendar" -Alias "SG-Users-With-Access-To-Shared-Calendar"
Next single liner command to run is to give the second group access to the first groups calendar. The script and way to solve this could of course be mixed up with both security groups and users to achieve the exact desired configuration, and apply to both Exchange Online and Exchange on-premises. When working with SMB customers without a clear IT strategy on how to store communication data between customers, you, at least I, get this question allot. Alex Darrow, who works as a project manager, quit! He have removed all personal email from his mailbox, and now we want to give Anne Wallace and Sara Davis access to his mailbox. Of course I can! What I will do is to convert his mailbox into a shared mailbox, and grant the two users access to it. My first tool will be PowerShell. This task could take some seconds/minutes, so just be patient. 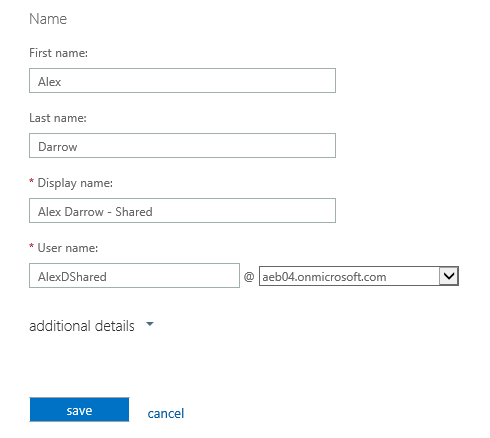 Then I sign in Exchange Admin Center, and check that the account shows under Shared. The great thing about shared mailboxes is that they do not need an Exchange Online license. 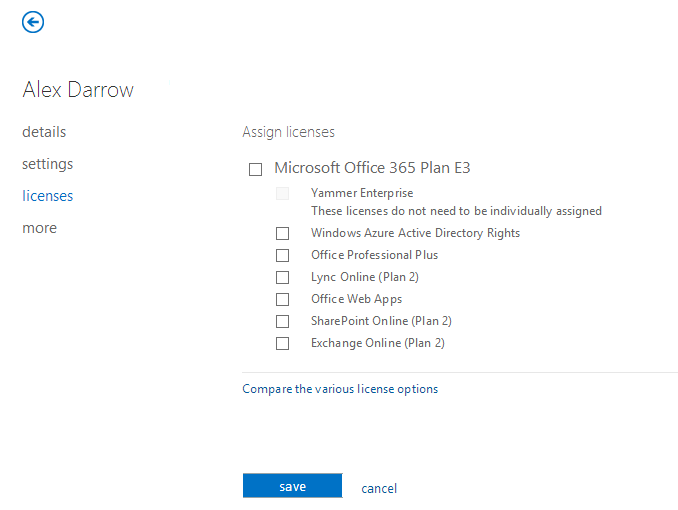 Therefore, I sign to Office 365 admin center and remove the license from the user. When I click save, and then confirm with Yes, I get a warning saying that all data will be removed. 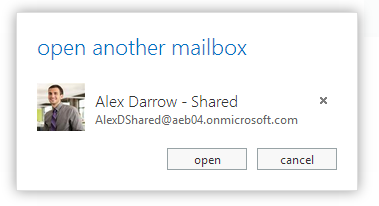 I have still not experienced that a regular mailbox that has been converted to a shared mailbox loses any data when the license is removed, so I click Yes. Now I rename the account from within Office 365 admin center. This is not required, but it makes management easier later on when accounts have a logical name. I usually append “- Shared” in the Display Name, and just “Shared” in the user name. It’s short and logical. 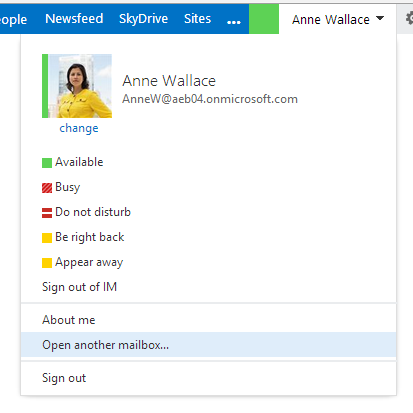 If they are using Office 365 ProPlus, the mailbox is automatically opened next time Outlook starts. 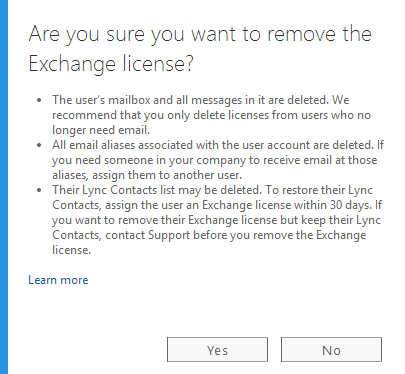 The Exchange Online Limits document in the Office 365 Service Description states that a Shared Mailbox only have 10GB of storage, and that it required a license to use futures like Online Archive. However, when you create a new Shared Mailbox, it’s ProhibitSendReceiveQuota is set to 50GB. Therefore, remember to configure this, so you don’t get unexpected NDR reports down the road. Remember to remove the SMTP address from the mailbox, unless you want to risk getting personal mail addressed to Alex. This is probably one of the most blogged topics, so this post is mostly a helper for myself; to document how to access the different Online and Cloud services from Microsoft via PowerShell.